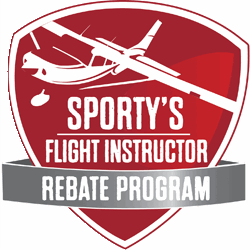 With this fast and easy rebate program, flight instructors can earn a $25 gift card every time one of their students buys a Sporty’s video course. These gift cards do not expire, and they can be used online, in store or over the phone. No charge to sign up. Keep your flying club strong! 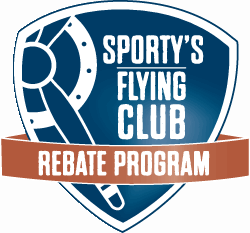 You can earn a 5% cash rebate on all purchases made by flying club members from Sporty’s Pilot Shop—on every product! No charge to sign up and no special codes required. 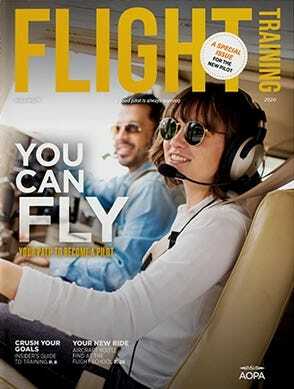 Sporty’s knows the challenges of operating a flight school and FBO in today’s economic climate. That’s why we have designed our dealer program, to offer you the chance to sell high quality pilot supplies and make more money for your business. Minimum orders are low, and you can earn up to 40% on popular training products. 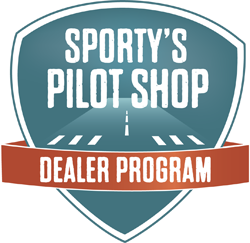 Sporty’s Dealer Program offers convenient on-line ordering and it’s free to sign up. Is your flight school listed in our database?